We’d love your help. Let us know what’s wrong with this preview of Charge of an Angel (Love and Redemption Series) by Linda Diane Wattley. My name is Leona Tillard. I need your help. You see I have been spending my whole life trying to know who I am. I was born and raised in Akron, Ohio. Being a product of a temporary singled-parent home, I was left without some pertinent information that could have possibly told me who I am. Eventually, still a child, my family structure evolved into a blended family situati My name is Leona Tillard. I need your help. You see I have been spending my whole life trying to know who I am. I was born and raised in Akron, Ohio. Being a product of a temporary singled-parent home, I was left without some pertinent information that could have possibly told me who I am. Eventually, still a child, my family structure evolved into a blended family situation. In silence, I cried far more than I laughed. Don’t get me wrong. There was much love for me. I learned early in life that I was a very special little girl. People loved being in my presence but more than anything, my body was always desired. I didn’t want for anything. Life was good to me. I just didn’t understand love and what is considered being a normal human being. This is where I need your help. Would you listen to me as I tell you my story about my life? Tell me who really loved me. Am I really an angel or a freak of nature? Your help will be highly appreciated. In return, I promise to entertain you from beginning to end. Below find one of my thought processing moments. It came during a time I needed understanding. Until we meet, enjoy! To ask other readers questions about Charge of an Angel (Love and Redemption Series), please sign up. Tackling topics that are hard to believe exist in our world, Charge of an Angel is a fictional tale that could be the real-life childhood of so many people. While I applaud the author for taking on such a heavy storyline (and I do not doubt this fiction is too much of a reality) I felt like the pacing of the story was off. 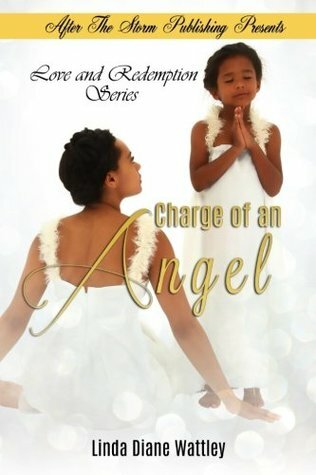 Within the first few chapters, I was lost by the placement of the characters, and even the child's lack of understanding of what was going on even after her step-sister became Tackling topics that are hard to believe exist in our world, Charge of an Angel is a fictional tale that could be the real-life childhood of so many people. While I applaud the author for taking on such a heavy storyline (and I do not doubt this fiction is too much of a reality) I felt like the pacing of the story was off. Within the first few chapters, I was lost by the placement of the characters, and even the child's lack of understanding of what was going on even after her step-sister became a part of the same abuse. This is not the kind of book you pick up because you are looking for a good read. It is in part because of the heaviness of the theme and because of that it couldn't hold my attention to continue on pass those difficult scenes to read what is a resonable lenght book. It took me far too long to read the story because it became less of a story and more of just realizing how heavy the theme is. Becuase as the reader you know exactly what is going on, you know what the narrator is trying to understand, and it just becomes so heavy and almost mentally exhausting to continue. I wanted more of the story to go along with all the heavy emotional reality that is this little girl's life. If you are the kind of person who loves those too close to reality stories, you will love this book and this author. If you like a bit more storyline to your stories, maybe a more aware narrator or more plot than you may enjoy this book as a piece of literature but might be too heavy for your taste. Abused children are often confused about how to start over and who they can trust. The person that abused them leaves them with more questions than answers. This book can navigate them through the road to redemption. I would recommend this to ages 10 and up. Some people may think that is too young how abusers always catch the children early enough to plant those seeds in them to make them feel that it is love and that they will be nothing without them. The take away from this book is, let no one Abused children are often confused about how to start over and who they can trust. The person that abused them leaves them with more questions than answers. This book can navigate them through the road to redemption. I would recommend this to ages 10 and up. Some people may think that is too young how abusers always catch the children early enough to plant those seeds in them to make them feel that it is love and that they will be nothing without them. The take away from this book is, let no one tell you what is right for your child. And nine times out of ten, if he abuses you then he probably will try to abuse your child. And last but not least abused people sometimes abuse people. Don't be a part of the cycle.